The controversial and celebrated abortion provider explains this thoughtfully on a hot, dry Fourth of July day in his Albuquerque office. 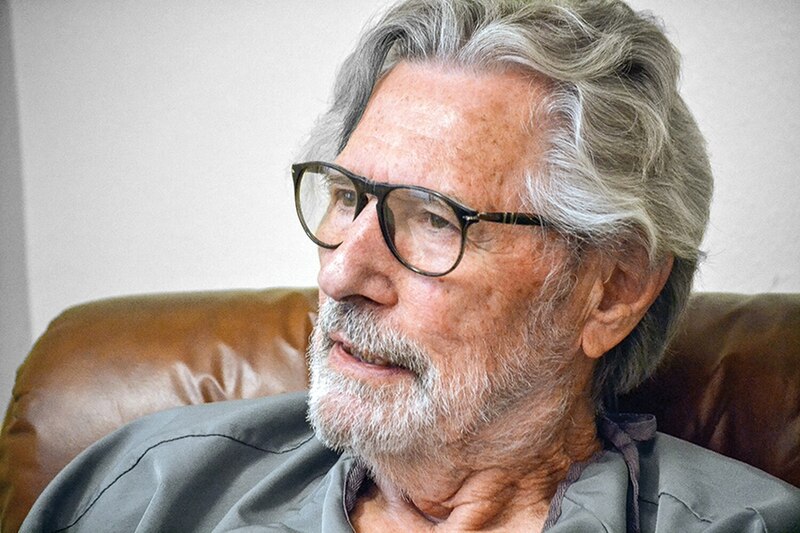 A wiry man of 80 years, Boyd wears a gray surgical gown and says he's working the holiday because the type of procedure that his clinic, Southwestern Women's Options, is known for requires multiple days. The clinic sits near I-25 on Lomas Boulevard, a crowded east-west thoroughfare on the edge of downtown Albuquerque. Across the street looms a pink billboard paid for by the group Prolife Across America. 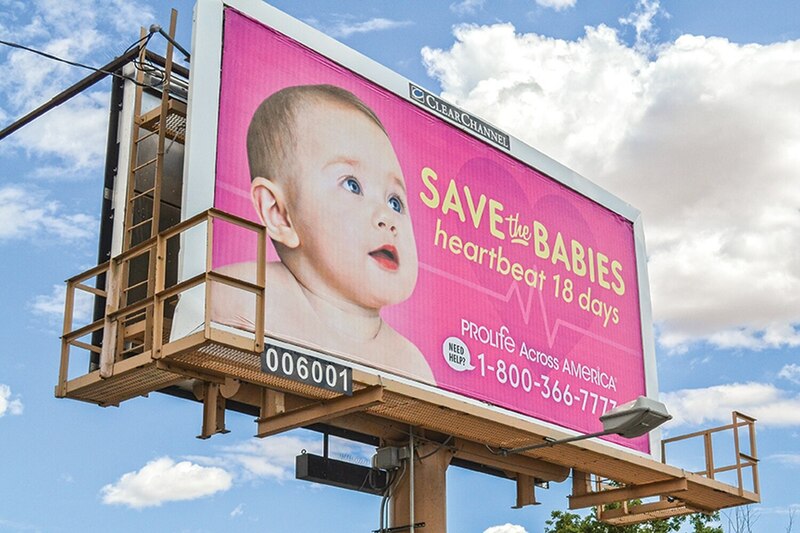 "Save the babies, heartbeat 18 days," pleads the text. An infant's chubby face peers out at passersby, a reminder of the ire against Southwestern Women's Options even on days when no protesters show up. "Our role is to help her make a decision in the grace of God that she can live with," Boyd tells SFR and NM Political Report in a rare, in-depth interview. 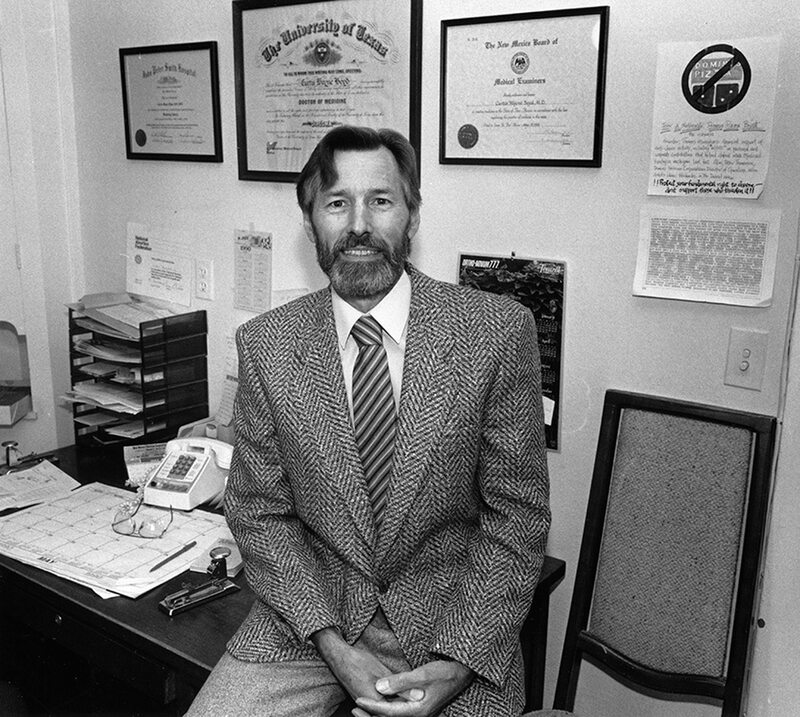 Boyd soon repoened a clinic in Dallas and in 1985, opened an additional clinic in Albuquerque. The Santa Fe location closed in 1993. His practice draws an intense, emotional response from the anti-abortion community, making Southwestern Women's Options one of the most scrutinized abortion clinics in the country and New Mexico ground zero in the abortion wars. 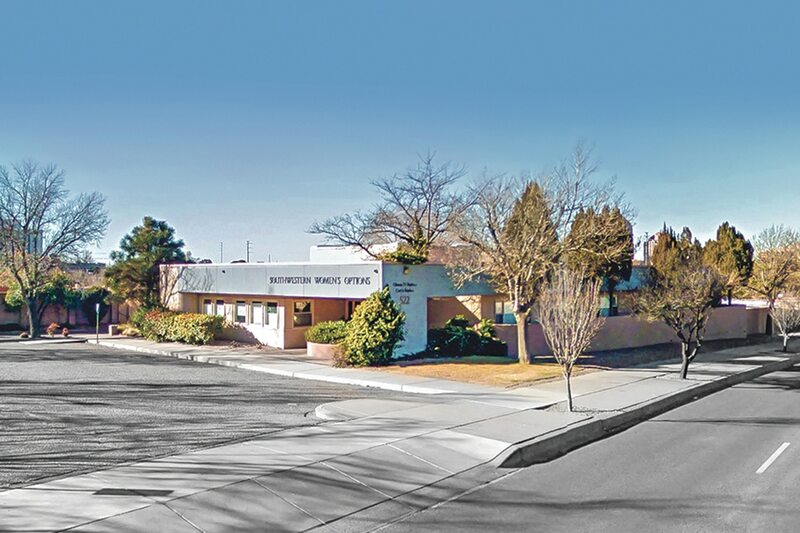 Despite a failed Albuquerque citywide ballot initiative in 2013 that would have banned abortions after 20 weeks of gestation, two of the architects of that effort say they're focusing anew on shutting down Boyd's clinic. A yearslong legislative effort to limit abortion access shows no signs of abating, despite repeated failures to pass a bill for the governor's signature. Last year, a controversial congressional subcommittee scrutinized Southwestern Women's Options amid a deeper dive into fetal tissue donation and research practices throughout the country. The investigation led to a lawsuit against the clinic over fetal tissue donation to the University of New Mexico and a request for a criminal investigation by state Attorney General Hector Balderas. The third-year AG, a Democrat, took up the case, and his office says an investigation is still ongoing. Boyd, who is nearing the end of his career, knows this. "We have a long struggle ahead of us," he says. Among its members was Carl Boaz, at the time an assistant minister at First Presbyterian Church in Richardson, Texas. In an interview, he says he always supported "a woman's right to decide what she should do with her body." "They had no one to talk to who really gave a damn about who they were as a child of God," Boaz says. "So it was important for me to provide a context that was non-judgmental, that was open to dealing with whatever emotions were prevalent." Boyd signed on as one of the group's doctors. The ministers needed the help; they often weren't familiar with basic medical information about abortions. Word spread quickly about Boyd's Athens practice. Boaz believes Boyd and others weren't discreet enough—though caution may have not been enough to prevent the coming crackdown. As Boyd tells it, clients drove to his clinic in Volkswagen cars—symbols of the hippie counterculture. That was more than enough to draw attention from authorities, especially in a small Texas town of fewer than 10,000 people. "I think they believed I was dealing in drugs," he says. He didn't find it to be much different. After all, the Dallas district attorney, Henry Wade, became the defendant in the lawsuit that would eventually lead to the 1973 Supreme Court decision that shaped modern abortion access in the United States. Sometimes, Boyd grew paranoid when he saw a police car. "They shouldn't have to do that; it's sort of humiliating," Boyd says. "But at least it was legal." 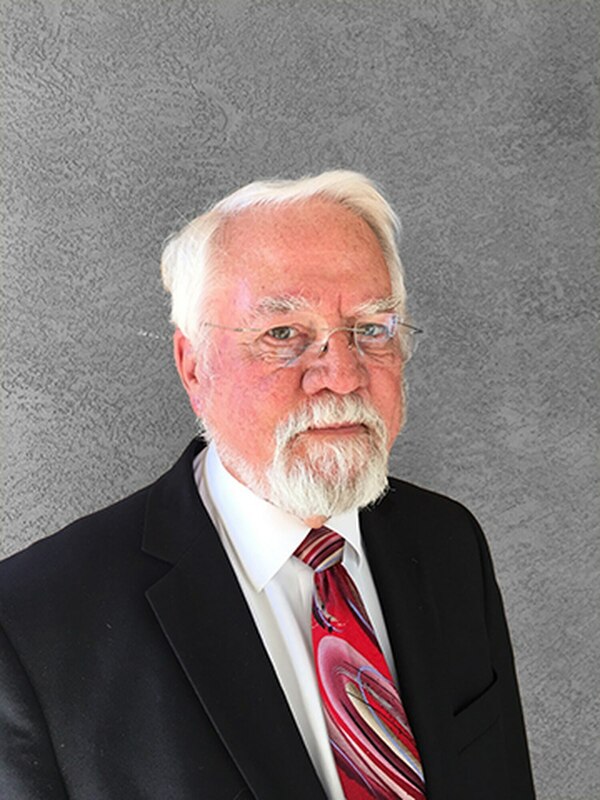 He opened a clinic near Atalaya Mountain on Santa Fe's east side. The city, he says, had "new-age draw" where "all the hip people were." To him, it was "the mecca." "No one harassed me," he says. "We did our work." But the court ruled in favor of abortion rights, 7-2. One of Nixon's new appointees, Justice Harry Blackmun, even wrote the majority opinion, ruling, among other things, that states could not ban abortions up until the point that a fetus has a good chance of surviving outside the womb. Today, that point differs according to a hospital's resources, but it generally occurs around 24 weeks or more of pregnancy. Federal law allows states to ban abortion procedures that take place beyond then. Forty-three states currently ban abortions at some point in the pregnancy, except in cases when the woman's life or health is in danger, according to the Guttmacher Institute. New Mexico is among the seven states, plus Washington, DC, that have no restrictions. Boyd says he was "astounded" by the court's decision on Roe v. Wade. "My nurse and my assistant, we just shouted, we were embracing each other, and I said, 'Oh, thank God almighty, it's over,'" he says. But the buoyancy of the court victory didn't last. In the decades since, Boyd has dealt with protesters picketing his office, chaining themselves to his surgical tables in protest, and hurling constant death threats at him and his colleagues. "For me, the worst has been since abortion was legalized," he says. Boyd insists that federal law enforcement agencies such as the FBI and the US Marshals Service have been more willing to help clinics against threats of violence under Democratic administrations. "We had names to call, telephone numbers to call [of federal authorities] if we had any problem," he says. As soon as Donald Trump became president, Boyd says that stopped again. "As always, it's politics," he says. The faith community is as heavily divided on the abortion issue as the political community. Bud and Tara Shaver, a Christian couple who describe their strong-willed advocacy against abortion as a calling from God, represent the face of Boyd's opposition, an ever-present foil. The couple met at a Bible college, got married and moved to Arizona. Ten years ago, they made it their lives' work to end abortion. The pledge came in a prayer on the drive back home from a Christian music festival. Tara had just visited a booth for Survivors of the Abortion Holocaust, an anti-abortion group known for using public displays of large signs of bloody fetuses as a protest tactic to bear witness to what it calls the "sin of abortion." Of Survivors, she says, "their whole focus is kind of recruiting people who were born after 1973 and really casting the vision that if you were born after that time, you survived abortion." In 2009, a man named Scott Roeder shot Tiller to death as Tiller attended a Wichita church service. Operation Rescue denounced the murder and denied Roeder was a member of the group. Investigators found the phone number of Operation Rescue's then-senior policy advisor, Cheryl Sullenger, on a piece of paper in Roeder's car. Tara defends Operation Rescue for "always denouncing violence" and protesting Tiller's practice for 10 years in a way that focused on "peaceful, legal action." "It's just kind of the scapegoat," she tells SFR and NM Political Report. "People want to look at some organization or someone to blame." Boyd describes Tiller as a dear friend with whom he had worked for years. At the time of Tiller's death, the National Abortion Federation encouraged clinics already practicing second-trimester abortions to expand into third-trimester abortions. Boyd helped establish the federation, a trade association of sorts for abortion providers. His wife, Glenna Halvorson-Boyd, once served as its president. "Glenna and I got together one evening," Boyd says. "We had just been looking at each other, thinking about the same thing. We said, 'We need to do this. We need to carry on this work that George was doing.'" As this happened, the Shavers came to New Mexico with the goal of shutting down Boyd's newly expanded practice. The couple allied with Fr. Stephen Imbarrato, a priest and then-director of Project Defending Life, and have since pushed a variety of anti-abortion efforts and causes. In 2013, they worked on a ballot initiative in Albuquerque that would have banned abortions after 20 weeks of gestation. Voters rejected it by a 10-point margin. 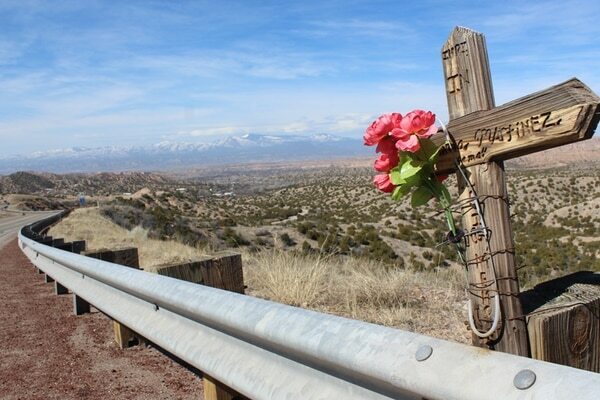 The Shavers now work with Abortion Free New Mexico, which focuses on using tactics outlined in a 2014 Operation Rescue manual that include undercover work to "bring accountability" to abortion. "Late-term abortion is something we can use to kind of get people to think more clearly and scientifically and logically about what actually happens in an abortion procedure," Tara says. Boyd says he sees patients "who are dying if they do not get the abortion, women who have severe congenital defects." Southwestern Women's Options advertises that it provides abortions for women through the 28th week of pregnancy. Any woman past 28 weeks of gestation seeking an abortion is admitted for procedures on a "case-by-case" basis, according to the clinic's website. Boyd calls performing such procedures a privilege and "a powerful experience." Sometimes, his patients ask him to bless them and the fetus, which he does readily. Because so few clinics opt to practice third-trimester abortions, Boyd's clinic draws patients from outside New Mexico. Boyd attributes this to the lack of services available elsewhere. "I know our reputation," he says. So when he's asked about what he thinks when he hears Albuquerque described as "the late-term abortion capital of the nation"—a term the Shavers take credit for coining—Boyd responds wryly. "A great sense of pride," he says. The comment is tongue-in-cheek, but Boyd again gets serious defending what he describes as the dire importance of his work. New Mexico should be proud that it has a more open stance on women's reproductive rights than most states, he argues. "I value the pregnancy," Boyd says. "The pregnant woman values the pregnancy. That's not the point. She has to make that decision that, 'My life and health might be at risk.' Or, she may have to think, 'I have a severely damaged baby and I need to take action to end this pregnancy. I'm not going to subject my family to this.'" Regardless of the local anti-abortion groups, Boyd says he's found New Mexico to be supportive of women's reproductive rights—much more so than, say, Texas, where he says he experiences more protests and hostility at his Dallas clinic. "New Mexico has strong women's coalitions," he says, including groups like Young Women United and local chapters of the Religious Coalition for Reproductive Choice, the National Organization for Women and the American Civil Liberties Union. "It's a common thread across faith traditions that we're called to care for the people who live among the margins," Lamunyon Sanford says. "Our abortion funding is a call to access." Yet resistance is strong where it exists. A handful of protesters flock to the Albuquerque clinic on a regular basis. Santa Fe lost its lone surgical abortion provider when she retired in 2011, although the city's Planned Parenthood clinic offers misoprostol, sometimes known as the "abortion pill." A few protesters can occasionally be seen outside its St. Michael's Drive office. 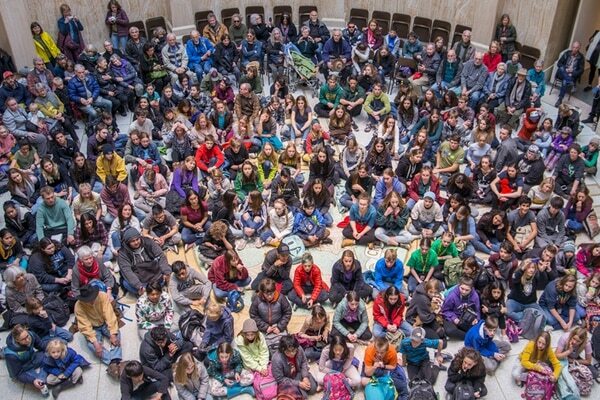 Those proposals, which feature impassioned testimony from both sides of the debate every year during the committee process, have never made it to the governor's desk. Some did, however, pass the state House of Representatives multiple times when Republicans controlled the chamber in 2015 and 2016. Gov. Susana Martinez, now in her last year-and-a-half in office, signaled her support for the measures. And US Rep. Steve Pearce, the only Republican to so far announce a run for governor in 2018, has been vocal in his advocacy against abortion rights throughout his 13 years in Congress. Earlier this spring, Pearce joined Tennessee Rep. Marsha Blackburn, who chaired the Select Panel on Infant Rights, in a small rally against UNM's fetal tissue research practices. Boyd would not comment directly on the lawsuit and attorney general's investigation into his clinic regarding fetal tissue donation. In the lawsuit, a former patient alleges the clinic donated her fetal tissue without her consent. In legal filings, Boyd's attorneys argue that the clinic's fetal tissue donation is done with proper consent. Near the end of a lengthy interview in his Albuquerque office, another anecdote comes to Boyd's mind. It's from Justice Anthony Kennedy's 5-4 decision in the Supreme Court in 2007, upholding 2003's Partial-Birth Abortion Ban Act. Though he acknowledged no reliable data to back it up, Kennedy wrote that it seemed proper to assume that some women "come to regret their choice to abort the infant life they once created and sustained." "The philosophical question you have to ask Justice Kennedy: Does she get to regret her decision, or does she get to regret your decision that you're forcing on her?" Boyd asks. "Where do you think the greater regret will lie, if she even has regret?" "I don't really advocate for anyone to have an abortion," he says. "I advocate for the right for the woman to decide for herself whether she will continue that pregnancy or not." Among the major disagreements in the abortion debate is when life begins. Dr. Curtis Boyd explains that different schools—biology, religion, law and philosophy—lead to different answers. The problem, says Boyd, a family medicine doctor who performs abortions, is that people often confuse and conflate the different disciplines. "Biological life begins at conception," he says. "In fact the sperm is alive and the egg is alive before they unite. When they unite, they're still alive, but now they're developing in a different station. That's biological." The beginning of life is interpreted in different ways in different cultures. But in our culture, personhood "has always" begun at birth, Boyd emphasizes, and this has been the basis legally as well. "Birth is when you take a breath of life," he says. "You're born when you leave the woman's body and take a breath of life. Then you have achieved personhood." "If you can scientifically say that abortion does take the life of a human being, then you can morally say that it is wrong to take the life of an innocent human being, therefore abortion is wrong," he says. "Then you can have your moral foundation." Shaver describes Boyd bringing his religious beliefs into his practice as "an emotional manipulation of spirituality." Boyd, however, argues that such a vision against abortion access is "somewhat lacking in Christian generosity and compassion." "For me, you can value pregnancy and you can value the women simultaneously, and you can respectfully bring that pregnancy to an end, still valuing the fetus and respecting the fetus," Boyd says. "And we do that every day." This story was reported in collaboration with the NM Political Report, where Joey Peters is a staff writer.